Mothers Mag and Aluminium Wheel Polish is the perfect solution for restoring a brilliant shine to all of your vehicle's metal surfaces. Note: this is a 140g tub. 283g and 3.63kg tubs of Mothers Mag and Aluminium Wheel Polish are available through Sparesbox. 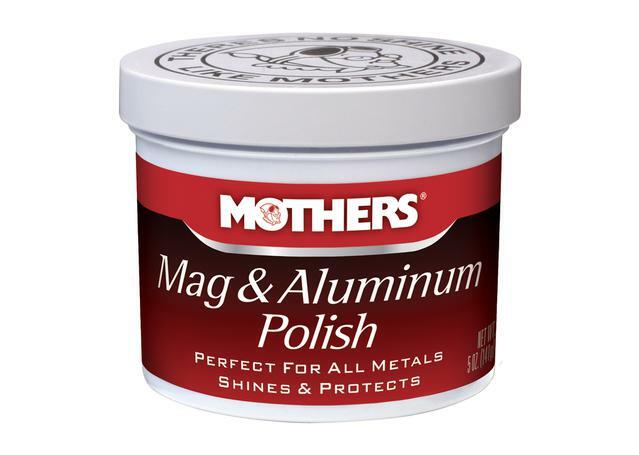 Mothers Mag and Aluminium Polish is one of their most legendary polishing solutions, restoring a brilliant Mothers shine to all metal surfaces across your vehicle. It's safe for use on all alloys, brass and aluminium wheels and accessories, and is strong enough to create an amazing shine while being gentle enough for regular uses. If your vehicle has a wide range of metal surfaces, Mothers Mag and Aluminium Polish is your perfect go-to product.